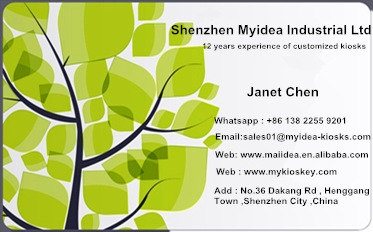 Shenzhen Myidea Industrial Ltd was established in 2005 , located in Shenzhen city -China . 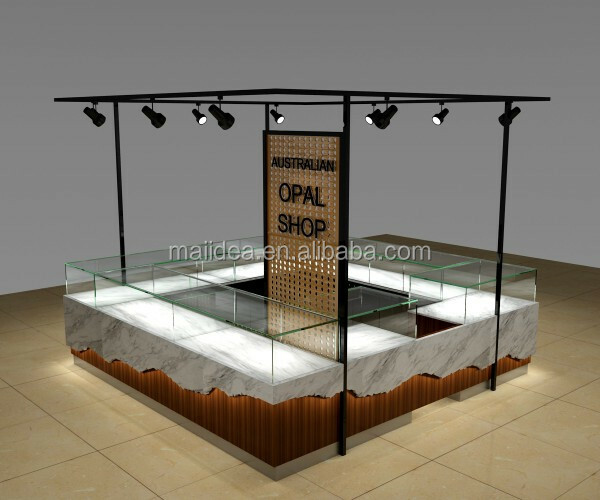 Factory focus on customized mall Jewelry display kiosk and shop furnitures for 12 years . 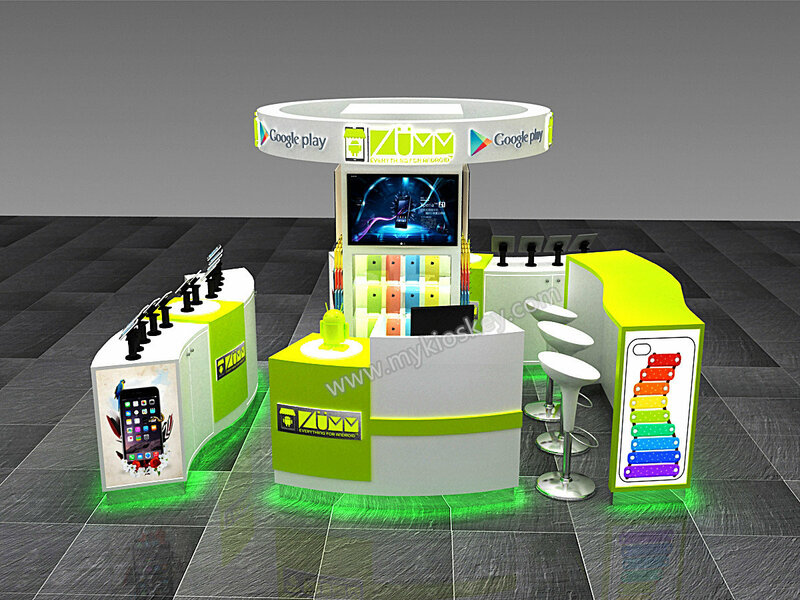 Also provide addtional service : 3D design + fabricate + arrange shipment service . 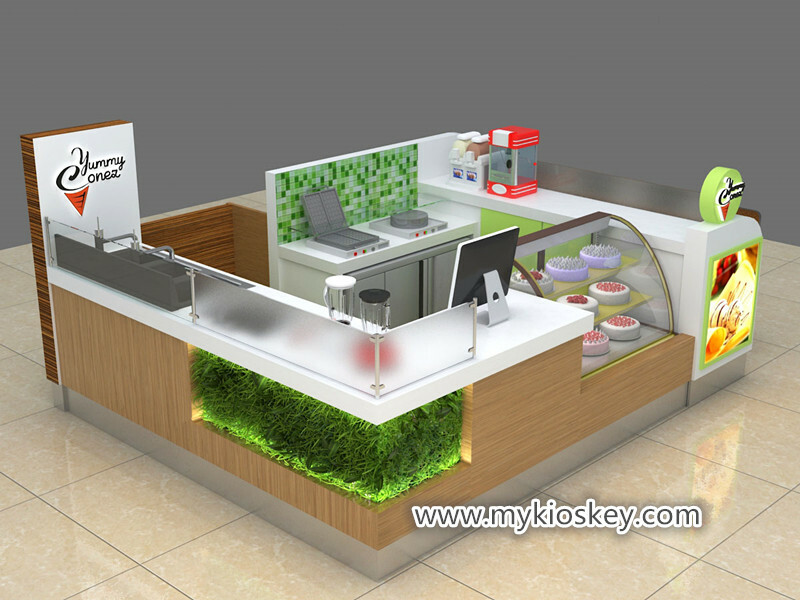 We are familar with mall critera , all designs are creative . 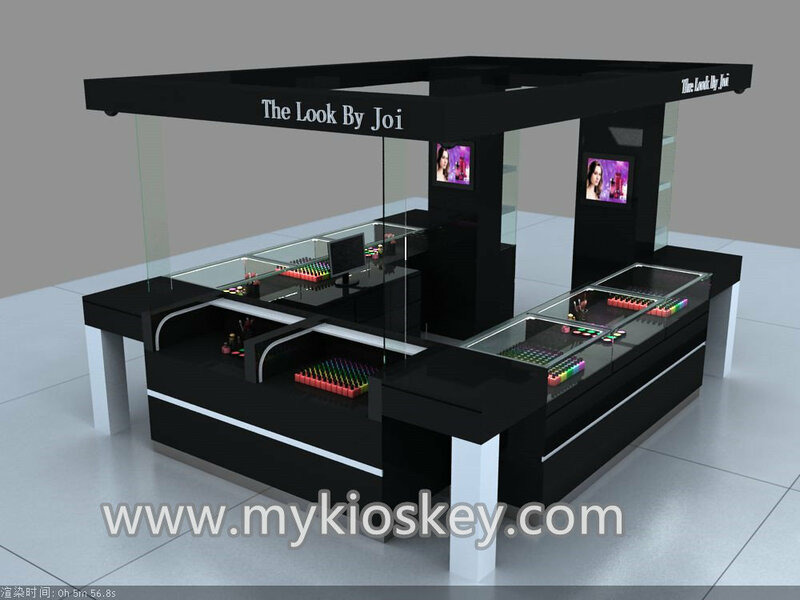 item name : luxury jewelry display | watch display . size : 3*3m or customized . 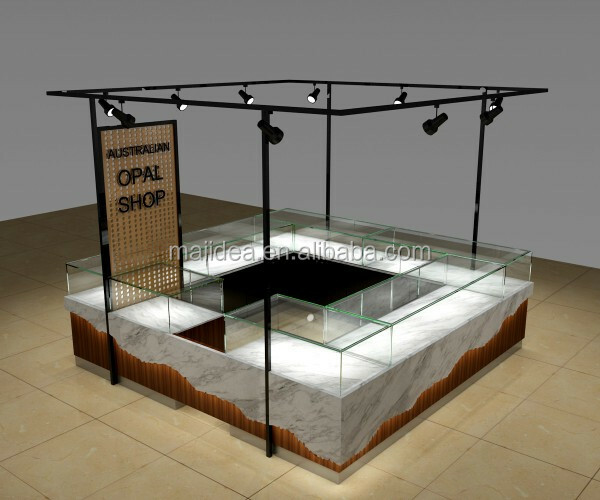 material : plywood with laminate and corian . kickplate : 100mm stainless steel . 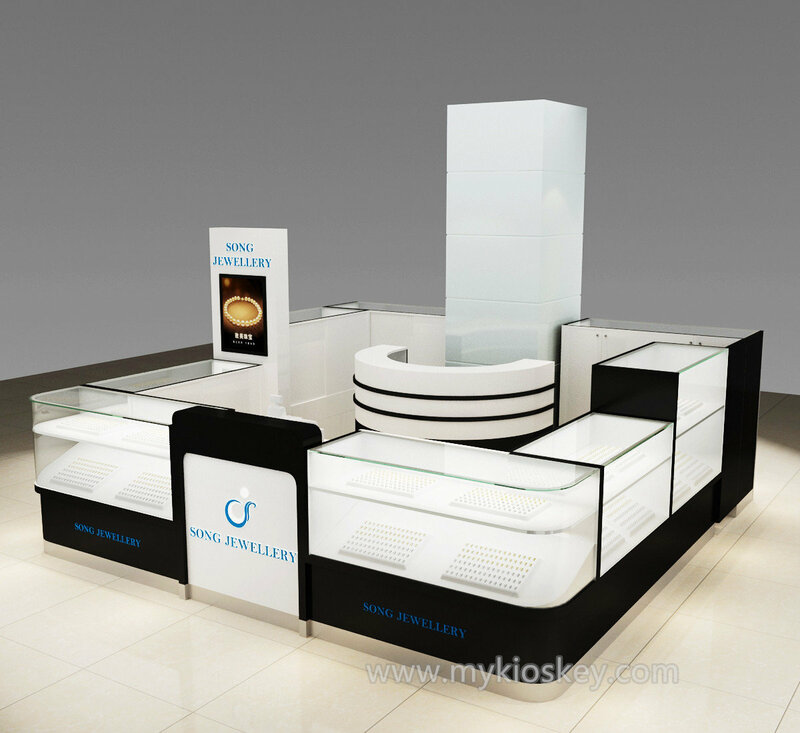 glass : 8mm thickness tempered glass , very safe . 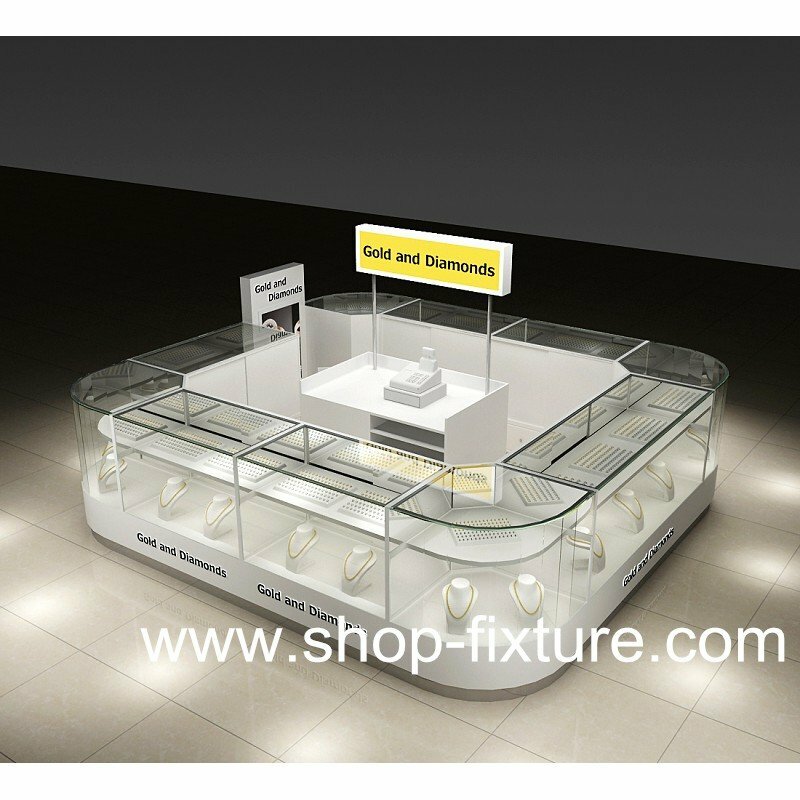 accessories : led strip lights or spot lights + key with lock . color : white and wood color . 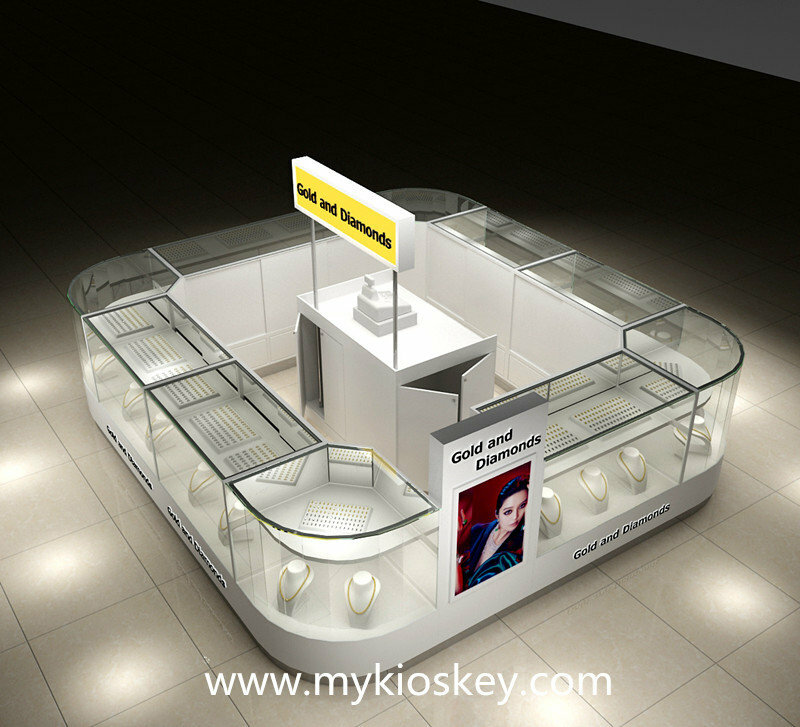 place of using : mall or jewelry shop . 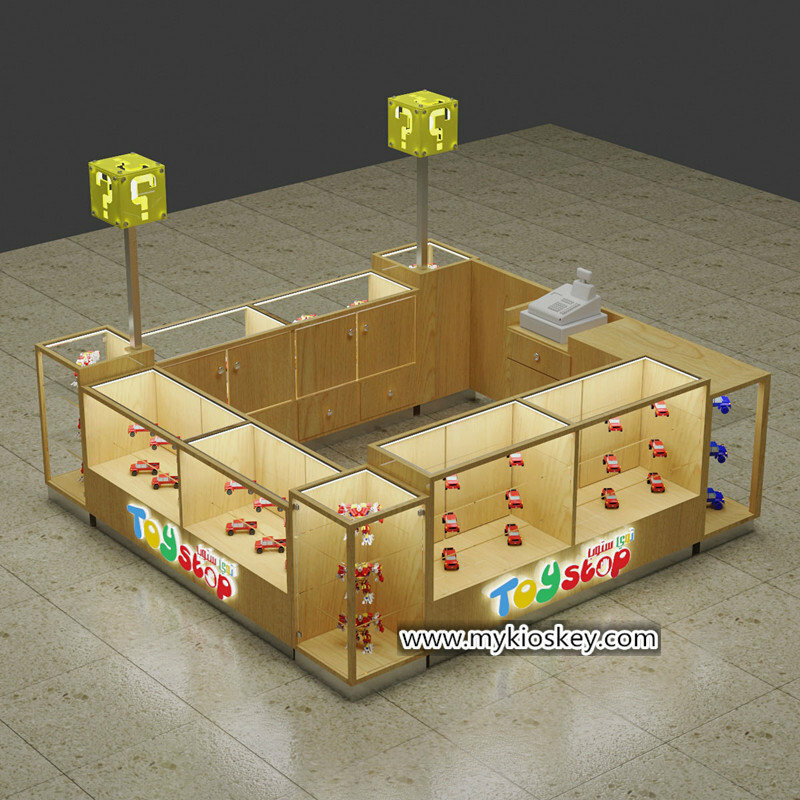 function : display goods . 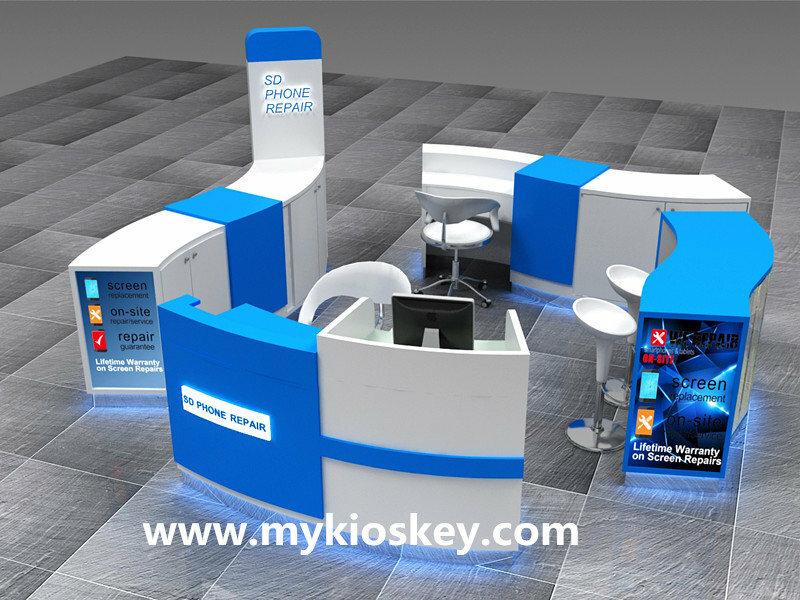 type : commmerical display kiosk . 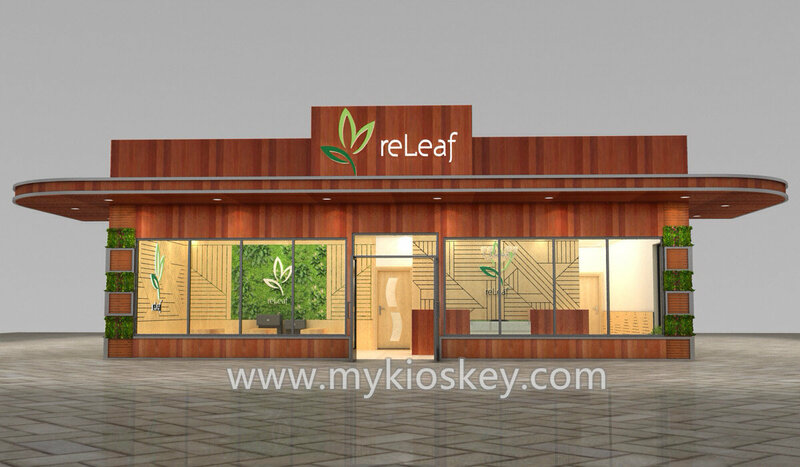 manufacturer time : 20-25 days after payment . payment : T/T ,western union , alibaba . 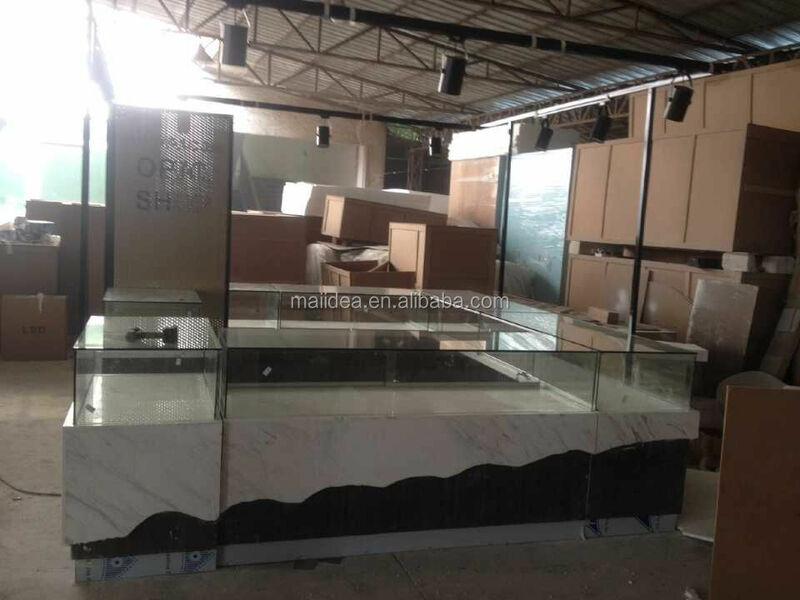 Surface finish : laminate and corian . 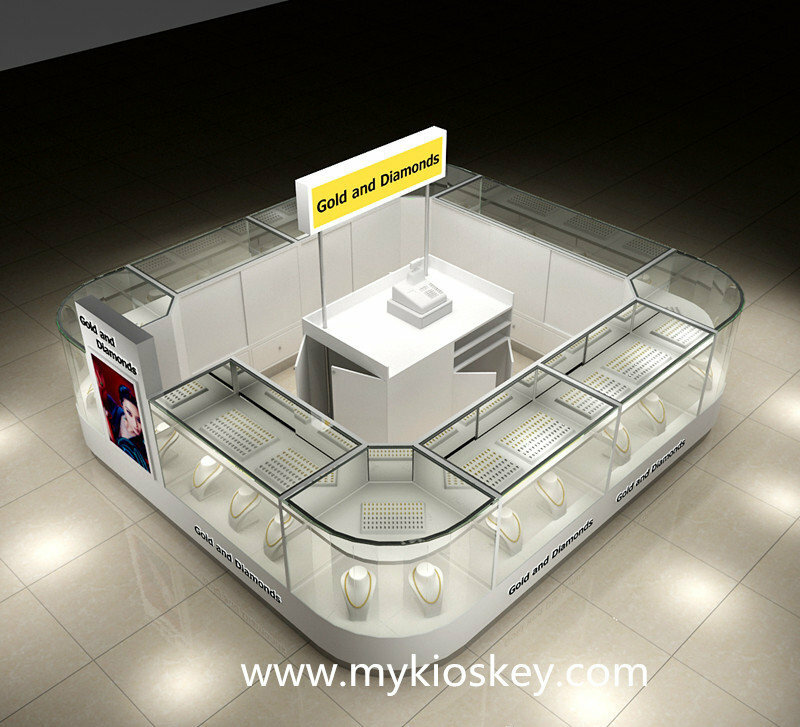 Accessories : tempered glass , 100mm stainless steel , key with lock . EPE Cotton + Bubble Pack + Corner Protector + Craft Paper Pack + Wood Box . Payment T/T, Western Union ( 50% before production +50% before shipment ) . 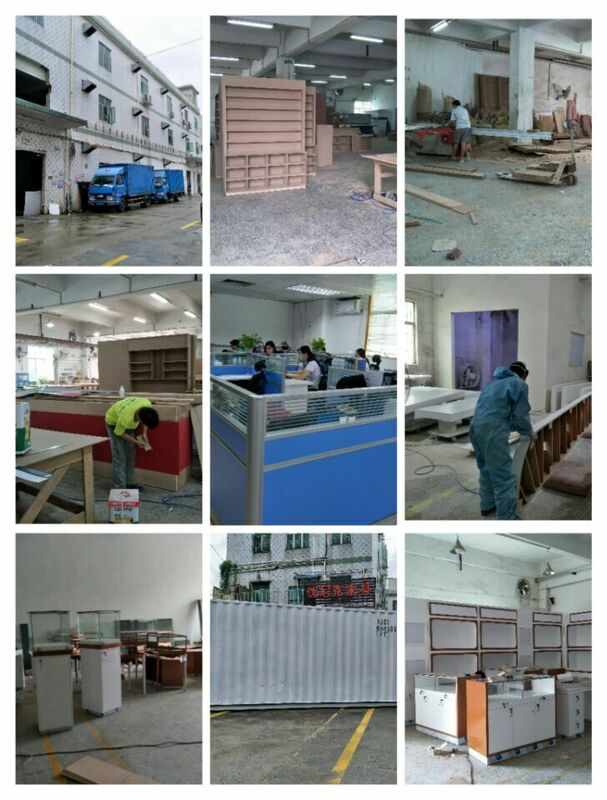 Production 20-23 days after payment . Certificate CE ,ISO ,UL , SAA , CO .
4. 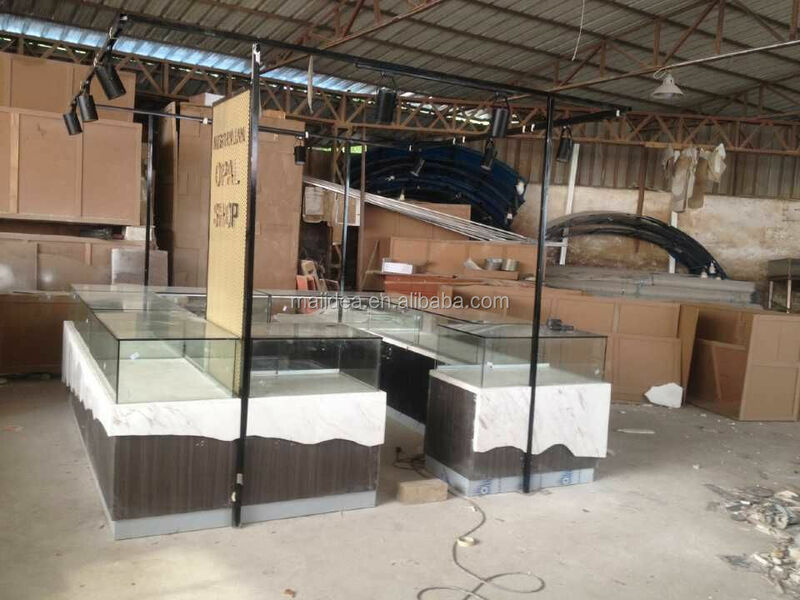 Customized luxury jewelry display order process .